Choosing the right accommodation when going on holidays is such an important decision, one which can make or break your trip away. 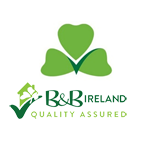 Farmhouse B&Bs are more than just accommodation and are the ideal choice when visiting the Emerald Isle. Not only do Farmhouse Bed & Breakfasts provide a holiday base, but they also offer luxury and comfort, all in a home-away-home atmosphere. 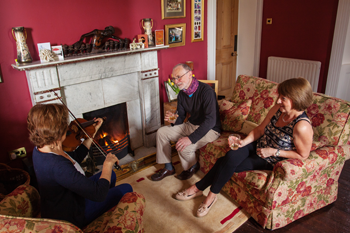 Hosts are what make B&Bs so fantastic and help to make special memories that you will never forget. Farmhouse B&B hosts pride themselves on creating a relaxed and welcoming environment for guests, making them feel as though the accommodation is their home for their stay. They are renowned for their attention to detail, making sure that everyone’s needs are catered for. As well as their warmth and kindness, hosts boast wonderful home-cooking and provide delicious breakfasts using fresh ingredients from their own farm! 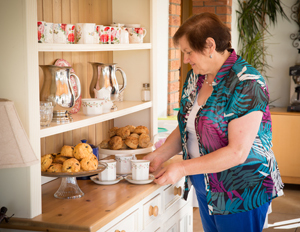 Home-baking is also a speciality so you can look forward to some tasty scones, brown bread or cookies. Farmhouse hosts always have unparalleled knowledge of their locality and are more than willing to help plan your day’s itinerary. 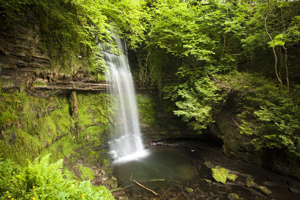 They have fantastic information on the best places to visit, often sharing their knowledge of the area’s hidden gems, ones which are missing from even the best guidebooks. They will happily help you plan your explorations and even going as far as to help make bookings or organise transport. Nothing is ever too much trouble for a B&B host. Your hosts are also proud owners of their own farm and will be thrilled to show you around, introducing you to all the animals and giving an insight into the daily activities that are required for running a working farm. Overall, choosing a farmhouse B&B is the perfect opportunity to truly embrace the Irish culture and to make unique lasting memories. You will love the company of your hosts so much so that planning a return visit is simply a given! Farmhouse B&Bs are more than just accommodation! !